The Master Innholders has awarded 20 talented hospitality professionals a place on its highly esteemed hotel management scholarship programme. 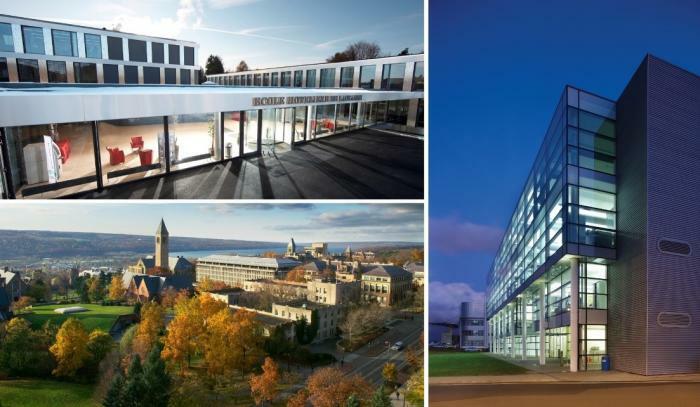 The successful candidates will take part in a two-week management development course at Cranfield University, Cornell University in the USA, or the École Hôtelière de Lausanne in Switzerland. A record number of applications were received from hospitality professionals working in some of the UK’s most recognised forward thinking hotels, with roles ranging from Executive Chefs and Head Concierge to Director of Events and General Managers. Stuart Bowery FIH MI, General Manager of Grosvenor House, A JW Marriott Hotel, and Chairman of the Master Innholders, said “The quality and breadth of this year’s applicants has been outstanding and we’re delighted that 70% of this year’s intake are from independent hotels. Each successful candidate has demonstrated clear next-level management potential and are keen to further support the development of other professionals once they have completed their scholarship. “Supporting education and development in the industry is a primary focus for the Master Innholders and each year a talented collection of individuals complete the programme, progressing to the next stage of their career. We would like to congratulate all 2017 scholars on their successful application for the scholarship and wish them every success and fulfilment with their learning. Now in its 24th year, the Master Innholder Scholarships are generously funded by The Worshipful Company of Innholders, The Savoy Educational Trust, the Master Innholders Charitable Trust, and The Lord Forte Foundation. The principal objective of the programme is to support hoteliers that would otherwise lack the financial means to complete some of the world’s most respected hotel management courses. Alumni go on to join the St. Julian Scholars, are encouraged to mentor others and share their professional knowledge for the benefit of the industry at large.